In the past two years, I shared with the readers my findings from cadaver studies and discussions with my colleagues on anatomical considerations in minimally invasive treatments as well as aesthetical, physiological, psychological, and anatomical approaches to minimally invasive treatments. I focused on practical anatomical knowledge which is necessary for successful clinical practice not unfortunately not covered in textbooks or anatomy courses in medical school. 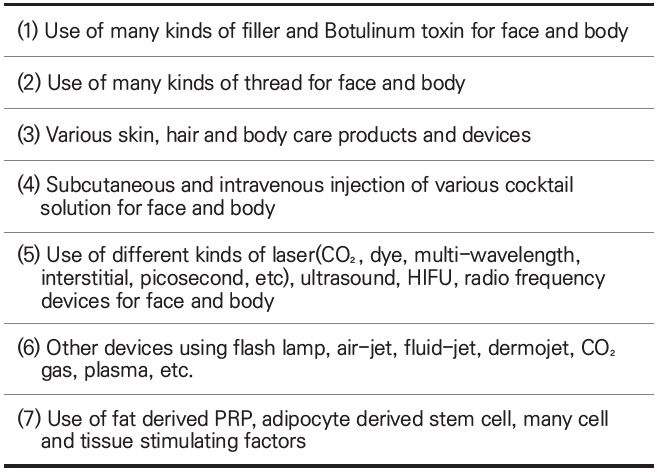 I tried to provide guidelines on what I believe are the safest techniques of dermal filler and botulinum toxin injections for different areas of the face considering uniquely Korean characteristics. In the next step, I’d like to move onto minimally invasive thread lift procedures which are used in cases where the injectable treatments have limited effects. Table 1 below summarizes various modalities used in minimally invasive procedures in clinical practice (Table 1). Table 1. Various minimally invasive procedures for aesthetic field. As we age, various changes take place throughout our face. There are common symptoms that occur as per each face area and the structure’s embryological purpose and anatomical characteristics. Among many minimally invasive treatments I have mentioned, dermal filler, botulinum toxin, and thread lift are the most commonly used. When the face is horizontally divided into three parts; from trichion to glabella, glabella to subnasale, and subnasale to gnathion, botulinum toxin injection is the most popular modality for correcting the upper face, such as expression wrinkles in the forehead, glabella, nasal dorsum, and eye area. In the mid face may show tear trough, mid cheek groove, nasolabial grooves and indentations in front cheekbones and dermal filler can be the main choice of correction in this area. The lower face widens with age as tissues droop from the gravitational pull. Patients often tell me they want the sagging tissues of their lower face pulled up for a tighter jawline. For lifting of the lower face, thread lift is the most commonly used minimally invasive treatment (Table 2). 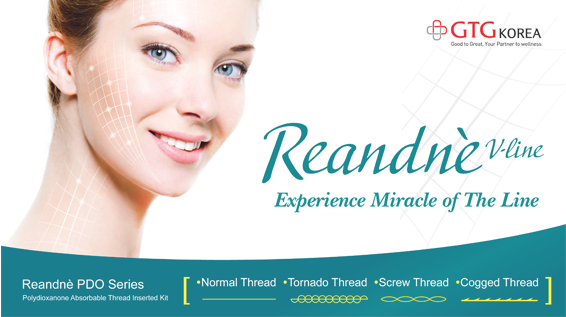 Besides thread lift, there are non-invasive treatments such as laser, RF, ultrasound, and compressed air treatment as well as those using various materials other than thread. However, the simplest and most effective modality along with dermal filler and botulinum toxin is thread lift.